This publication is concerned less with the science and techniques of conservation than with the meaning of heritage and the contribution it can make to the progress of European society. 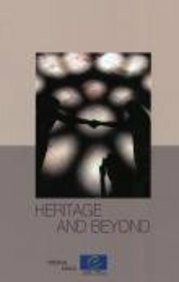 It is firmly rooted in the principles of the Council of Europe - a political organisation committed to human rights, democracy and cultural diversity - and includes a range of articles that look at heritage in the context of the current challenges we all face. In particular, it shows how the Council of Europe's framework convention can enhance and offer a fresh approach to the value of the cultural heritage for our society. As such, it provides further reasons for states to ratify this convention, which was opened for signature in Faro, Portugal, in 2005, and adopt its dynamic and forward-looking approach. ALONG WITH PAYING THROUGH ABE, WE ALSO ACCEPT PAYPAL FOR YOUR CONVENIENCE. UNIVERSITIES AND LIBRARIES CAN BE INVOICED UPON REQUEST. Address: Desert Hot Springs, CA, U.S.A.